To reach us, please check out the map below with the address and directions. BarDew Valley Inn - Bed & Breakfast - Bartlesville, Oklahoma's original "Country Luxury" Bed and Breakfast Inn. We are an authentic, owner run B&B nestled in a quiet valley with a private pond. This home was featured on TVs hit series Extreme Makeover: Home Edition in 2006. 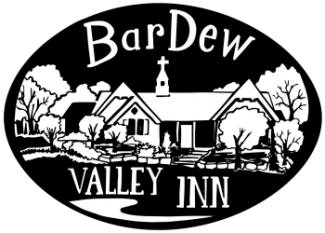 BarDew Valley Inn - Bed & Breakfast - Bartlesville, Oklahoma's original Bed and Breakfast Inn. We are an authentic, owner run B&B nestled in a quiet valley with a private pond. This home was featured on TVs hit series Extreme Makeover: Home Edition in 2006. Great B&B! Gorgeous spot and wonderful hosts! What an awesome B&B! We will be back! The hosts Perry & Beth made us feel right at home. Their knowledge of the area really helped. Amazing accommodations! We have to visit the Bartlesville area frequently, so this was a great find. Bartlesville has needed a nice B&B for a long time. Thank you so much for hosting us!